It’s no coincidence that my daughter’s name is Cadence. I was fascinated with drums the first time I saw my Uncle Tim’s drum set in Grandma and Grandpa Felker’s basement, and I was often reprimanded because I simply couldn’t keep myself from playing them. I began playing for real in 3rd grade when I joined the band. I bought my own set few years later, when I saved up enough money from my summer lawn mowing jobs. I played in pep bands, jazz bands, marching bands, accompanied choirs and musical groups at school and church. I even played a few songs with a band in college for a Coffee Shop entertainment sponsored by one of the campus fraternities. I developed a crush on my husband Steven when I first saw him emceeing the Freshmen Orientation Entertainment, but what really sealed the deal for me was when he put down the microphone, picked up a pair of drumsticks and hammered out a flawless five-minute drum solo. When we went in for our first ultrasound, we barely had any girl names on our list that we both liked. But the moment we saw her bouncing around on the monitor like she was marching in a parade, we both agreed that we just might have another drummer in the family. 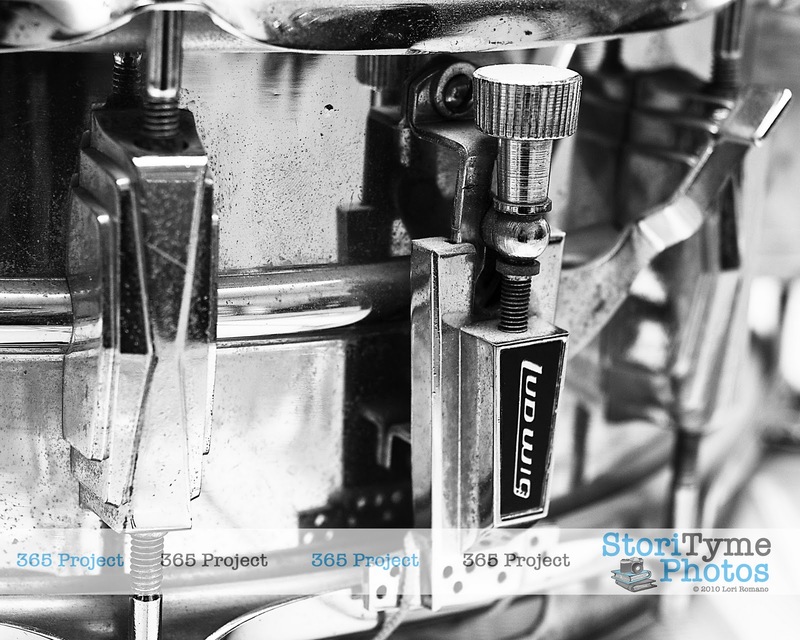 Today’s 365 Project is dedicated to my favorite drummers.